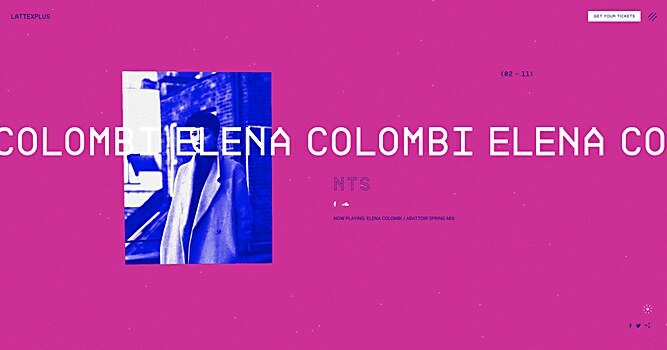 The site for this two-day Italian electronic music event plays with the concept of night and day. 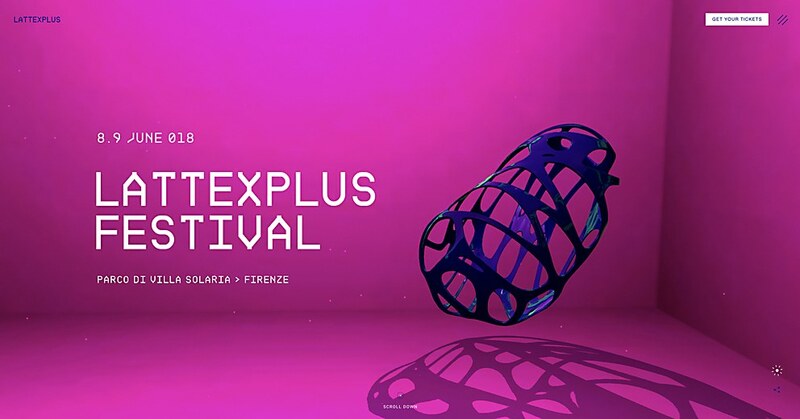 Background: LattexPlus is a cutting-edge event organization in Florence and Tuscany that has been recognized as a reference point in the Italian music scene and club culture. 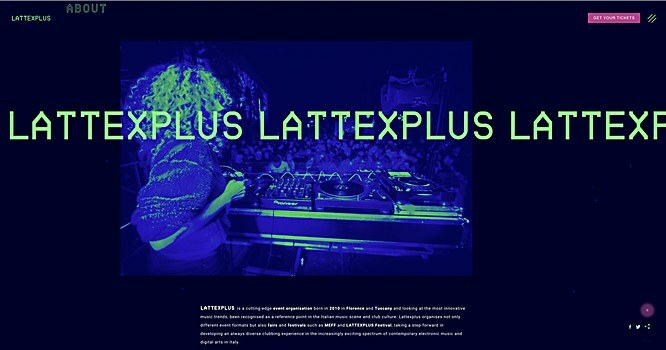 For the second year in a row, we had the pleasure of designing the website for its second annual LattexPlus Festival, a two-day electronic music event with famous and international artists. Highlights: The two-day event spans both day and night, so we designed the website having this concept in mind. The site can be experienced in two modes depending on the time of the day you visit the website, and users can also switch between them by clicking on the moon/sun icon in the footer. 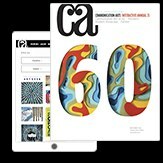 Challenges: Finding the right balance between the post-processing effects and the right shape and material of the 3-D model in order to develop a website that could run smoothly on all browsers and devices. Favorite details: Consistency was key during the creative process. In order to preserve the night and day idea, every visual element—from the user interface to the photos and 3-D models—must change its look based on the version of the site that users are navigating. Navigational structure: Our aim was to design a clean and smooth website where users could easily discover the festival lineup and other useful info, while enjoying a simple but attractive experience. Technological features: We used Vue.js, WebGL (Three.js), custom shaders and we didn’t have backend technologies, just MailChimp API to allow users to subscribe to the LattexPlus mailing list. In addition, we used reactive post-processing effects for the model distortion transition in the homepage, and for the noise and brightness changes. The website also has both dynamic and baked lights to guarantee good quality lights on the page. Anything new: From the development side, we learned how to use run-time generated and pre-filtered roughness mipmaps to ensure good lighting on the 3-D model. 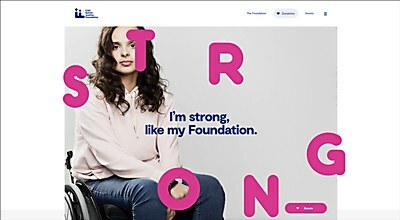 The new site for this health center foundation uses stunning animated letters that mirror its values. 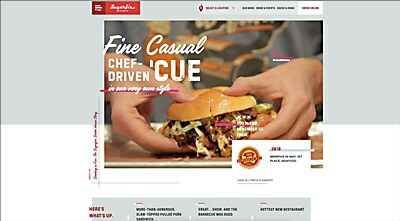 The site for this fine-casual barbeque joint provides a unique online food experience through its integrated geolocation. 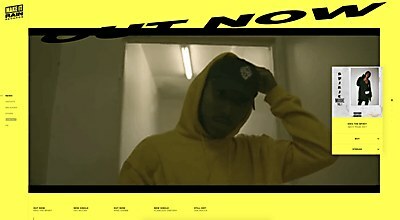 The microsite for Make It Rain Records uses intense color and a smooth navigation to create a unique user experience.